Tiffany was the Winner 2016 People’s Choice Award for Best Local Comic by City Pages Magazine. 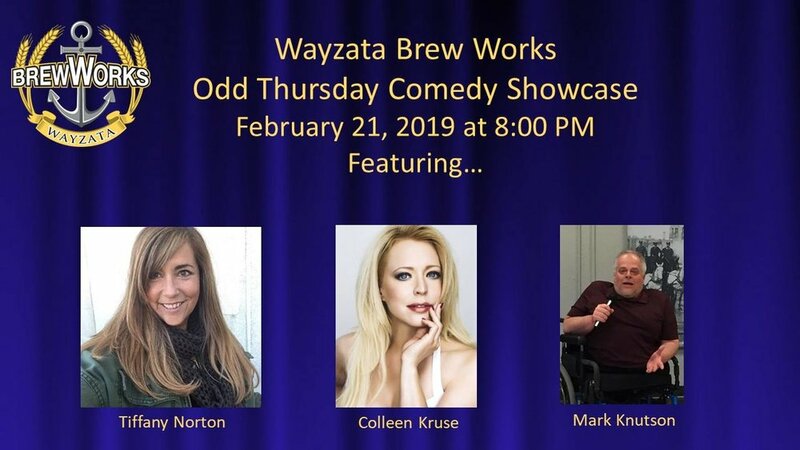 She is originally from St. Paul and is currently a touring stand up comedian, Radio Personality/Traffic Reporter and Executive Producer of the award winning, Moon and Staci Show on KS95-FM 94.5 in Minneapolis. Tiffany began her stand-up career a decade ago and has been entertaining audiences with her confident stage presence and mischievous point of view ever since. Colleen has appeared on Comedy Central, A&E, and at the Pantages Theater. Mark calls his comedy "Comication" a mix of Comedy & Education. It is a mix of the experiences of someone using a wheelchair since birth. Experiences of being child growing up, working, wheelchair sports, dating/marriage, having kids, along with all the questions and looks.